Bill Clinton dons a red jacket. Yes, that's a City Year jacket. Bill Clinton speaks at a City Year event in Boston on November 20, 2001. "More friends and fewer enemies" was one of his themes. 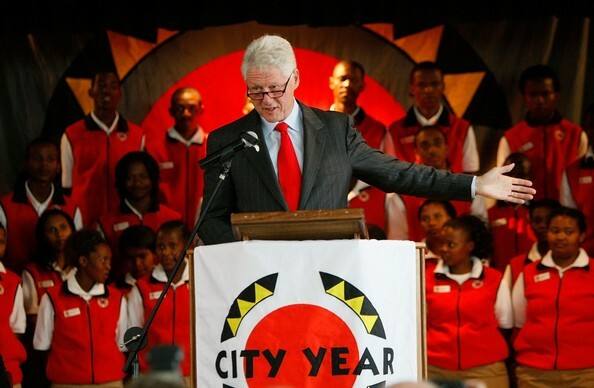 Bill Clinton wears a red tie for a 2007 meeting with City Year South Africa.